During a recent Twitter binge I was asked a great question, and it’s one that directly relates to the NFL draft: If I were building an NFL team from scratch, what three positions would I make my top priorities? The question speaks to the much broader issue of team building, a complex and multifaceted subject that demands continuous discussion by all NFL front offices. As the NFL game has transitioned over the years, there have been four positions universally viewed as priority positions — quarterback and left tackle on offense, and pass rusher (defensive end or outside linebacker depending on the scheme) and cornerback on defense. That’s been the gospel for quite a while now. Which of those would be dropped from the list if there were only three priority positions? Of course, the most important position is quarterback. That’s inarguable. What about left tackle? Think about this: the past four Super Bowl-winning left tackles were David Diehl (a former fifth-round pick at guard), Chad Clifton (second round), Jermon Bushrod (fourth round) and Max Starks (third round). The quarterbacks on those championship teams were Eli Manning, Aaron Rodgers, Drew Brees and Ben Roethlisberger, each likely on anyone’s short list of the top quarterbacks in the NFL. We can debate how well those tackles played in those given seasons, but there’s a larger context. Is there a correlation between the quarterback position and the left tackle position? Can the argument be made that left tackle decreases in relative importance the better the quarterback, and is therefore less of a priority? 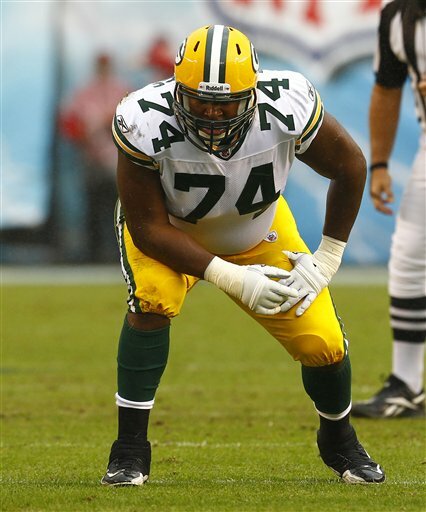 Last season, Marshall Newhouse, a fifth-round pick in 2010, started 10 games at left tackle for the Packers. He struggled individually much of the season. It had little impact on Rodgers’ efficiency, or the overall performance of Green Bay’s offense. The elite quarterbacks camouflage and compensate for offensive line deficiencies in many ways. They do it before the snap of the ball with their understanding of defensive pressure schemes and the pass protection adjustments that must then result. They do it after the snap with their decision making, their advanced sense of timing and anticipation, and their ability to move in the pocket to minimize and negate the pass rush. It’s often the case that the quarterback takes care of the impact pass rusher with his advanced abilities both pre- and post-snap. Of course, nothing is 100 percent, so there’s always going to be games and specific situations in which poor left tackle play derails an offense, no matter how good the quarterback. We’re dealing in tendency and probability, trying to assign quantitative value to a position that has long been regarded as a premium NFL position, and thus been drafted accordingly. The bottom line question is this: If you have an elite quarterback, does left tackle diminish in value? In a passing league, it clearly makes sense defensively to do two things: rush the quarterback and cover receivers. One reason a big-time pass rusher can be so important, a reason rarely discussed, is the impact he has on the eligible receiver count. Football is a numbers game. There are five eligible receivers on every play. If the offense is forced to keep one or two of those receivers in to pass block to account for a big-time pass rusher, then the defense gains a significant advantage. They now have more defenders to cover fewer receivers. The numbers favor the defense. Corner is becoming an even more critical position in the new-wave NFL, with the increased athleticism and formation versatility of tight ends. Again, it comes back to numbers. If you have a corner who can cover man-to-man without help from another defender, whether it be a safety, a linebacker or a slot corner, then you have more players available to defend the four other eligible receivers. And that corner does not have to match up to the most dangerous wide receiver. If you’re playing the Patriots for instance, you can put your best cover corner on Deion Branch and then have more bodies to play Wes Welker, Rob Gronkowski and/or Aaron Hernandez. 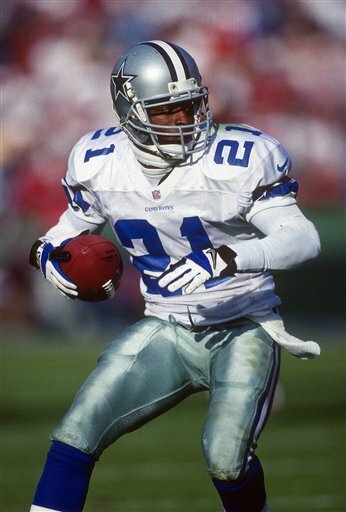 I always call pure man coverage on one wide receiver the “Deion” coverage, in honor of Deion Sanders, who played man-to-man with no help as well as any corner I have ever seen on film. The Jets utilize the same coverage scheme with Darrelle Revis. I saw the Cardinals do it later in the season with Patrick Peterson. It’s a tremendous advantage for the defense in terms of coverage flexibility, and it really underlines the vital importance of the cornerback position in today’s NFL. Let’s look at the Vikings in the upcoming draft. They have Christian Ponder at quarterback. Ponder, entering his second season, is not at the stage in his development in which he can compensate for left tackle, or overall offensive line deficiencies. On defense, they need corners, especially in a division that features Rodgers, Matthew Stafford and Jay Cutler. Assuming they have both players graded appropriately, the decision should be between LT Matt Kalil or CB Morris Claiborne. It’s a fascinating question that speaks directly to the prioritizing of positions in the NFL. Of course, no draft pick is made in a vacuum. There are many variables that come into play. Yet, all teams have core philosophies and beliefs that shape their personnel decisions. The Vikings might well give us their answer to the question posed at the beginning of this column.